I may multitask well when I’m with my kids, behind my computer at work, or eating while watching TV. 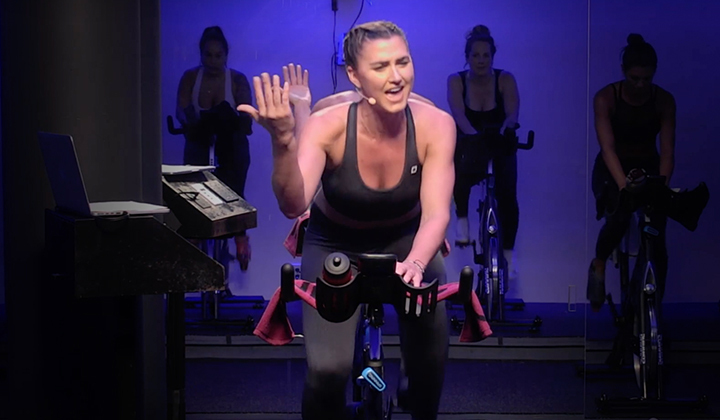 But I quickly realized there’s no way that I could effectively control my personal workout intensity, monitor the class’s intensity and coach a ride simultaneously. Pick two of those three, because one of them has to give. 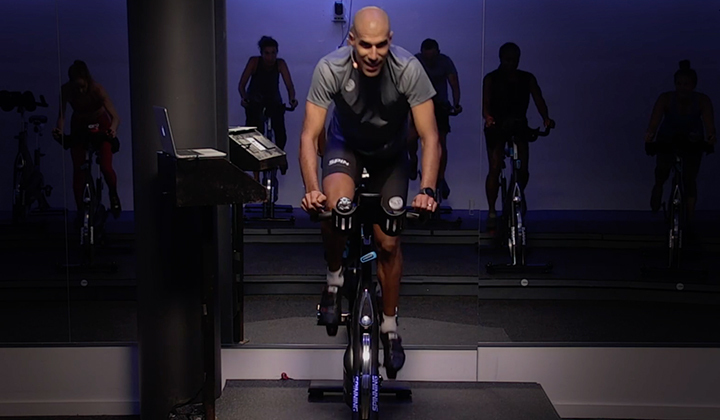 By eliminating the subconscious concern for my own body and ensuring I wasn’t pushing myself too much or too little, I am now fully tuned in to monitoring my class and delivering the ride. Each class truly became all about my riders. The fact that I wasn’t riding gave me more oxygen to cue more thoroughly. For example, I illustrate the sharpness of a switchback: my arms lead my body upward into a sharp curve as the road bends into a tight turn. I cue an increase in intensity by pretending to grab on to the back of someone’s seat and adding my bulk to their load. Instead of just short phrases or words, I am offering them verbal and physical imagery. Rather than remain on the instructor’s bike with a limited view of my semi-circle of riders, I now see the entire room from a whole new vantage point. 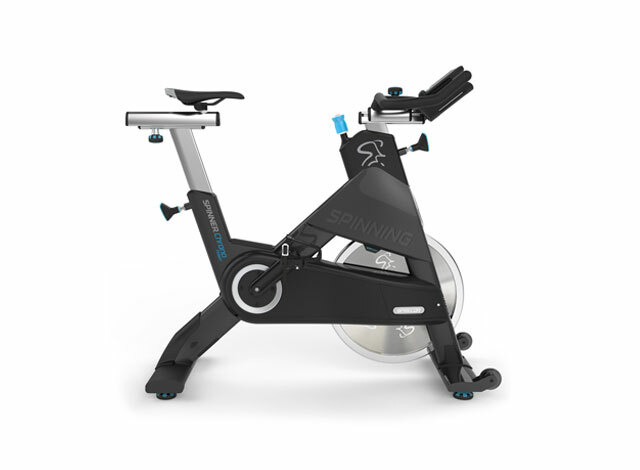 From the floor, I can see how my riders’ knees are moving, that all feet are flattened throughout the pedal stroke, that they are pulling up and pulling down around the circle and that their upper body posture is correct from all angles. I can also identify veteran riders who may have ridden a certain way for many years that need to be re-fit on the bike. While I am off the bike, I have a much greater opportunity to give one-on-one instruction. I can stand in front of a rider with pedal stroke problems and demonstrate the flat-footed circle. 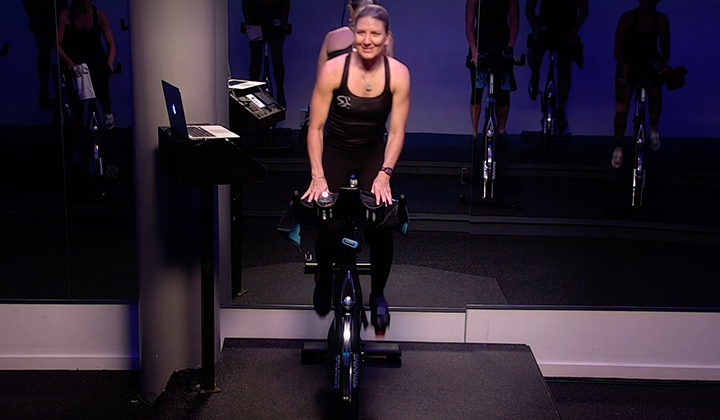 Teaching off of the bike is a great way to reach riders who need kinesthetic cues (or complete the movement or exercise themselves) to really take in your instructions in class. The biggest benefit I’ve found to leading a class while out of the saddle is the emotional connection I’ve formed with every rider, even those who come in late or scurry out right after class. A little personal attention to each rider goes a long way to encourage them and reassure them that I want them to benefit from my ride.Three months later, I have gradually added more saddle time back into my routines, but I continue to teach off the bike. Sure, there have been uncomfortable points during this learning process, where it was difficult to unclip from the pedals and step away from the bike. But even when I’m fully recovered from my injury, I plan to spend a good portion of my classes off the bike.There are definitely times when being on the bike is the best way to lead the ride and demonstrate form, but I want to maintain the benefits I’ve cultivated for my classes in the past weeks. It’s proven to be an invaluable experience to me and the feedback from my classes has been overwhelmingly positive. So don’t be afraid to take the leap and teach off the bike when you can!Did you take the leap and teach off the bike? Subscribe to our newsletter for more instructor tips and find out what happens when you take the leap!